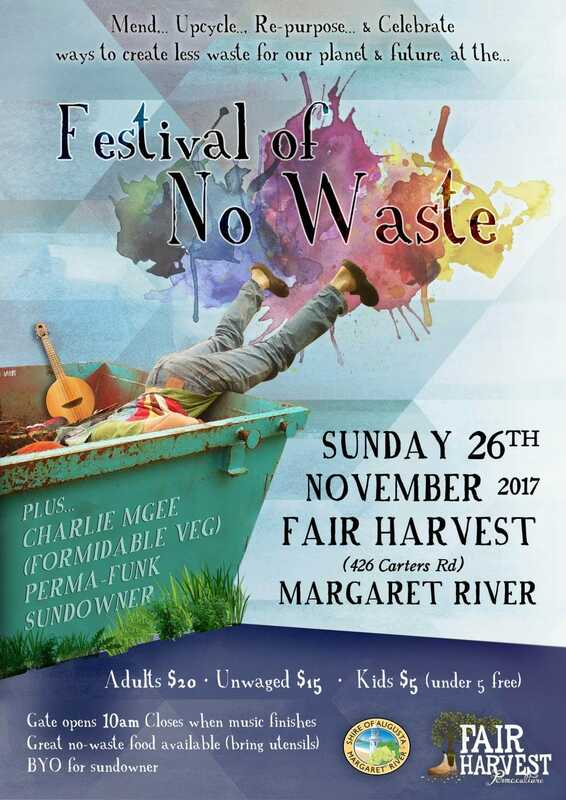 This year’s Fair Harvest Festival, the “Festival of No Waste” plus Charlie Mgee Sundowner is shaping up to be a ripper of an event. The list of stalls, activities and displays is growing daily. Everywhere we look is waste and often it’s just plain depressing, but this festival is all about celebrating the great things that people are doing to create less waste! It’s one big exciting challenge that people are tackling from every possible direction and thankfully many of them are giving up a day in their busy lives to come and share it with us. I’m so grateful to everyone who has said YES because this is exactly the sort of thing that will inspire others, which is the sort of thing we love. Here’s a list of all the stalls/workshops/presentations that we have happening so far. Please let us know if you would like to offer something or get involved as there is no end of No Waste tactics out there and it still feels as though we are just scratching the surface. Please note, due to peoples busy lives this list could change, grow or shrink. I will do my best to keep it up to date. In an era dominated by fast fashion, Jane Milburn advocates for a more sustainable clothing culture. Jane believes in thoughtful, ethical and creative ways of dressing that don’t harm people or the planet. She is the founder of Textile Beat and shares her journey from rural communications to slow clothing pioneer. 4 pm … Charlie Mgee (Formidable Veg) perma-funk sundowner! please bring clothes to mend! Babies and toddler’s dresses, bibs and headbands made from recycled and remnant materials. Baskets & decorative items woven from recycled rope and/or paper. Hands on Weaving for both adults & kids. This is a group activity, please let us know if you are available on Friday or Saturday to help out (and get your free tix), or join us on Sunday any time. Making high quality compost with near miraculous effects on plants is nearly as easy as making compost of dubious worth . With a bit of knowledge you can make humus quickly from the same ingredients as you could make, if you were not aware of the simple rules, a pest attracting mess. Come and learn the right way…. the scientific and safe way….. to recycle ALL your household (and or farm waste) into magical humus! Meet Laura and Lawson from Margaret River Organic Farmer and learn about some of their methods of cycling nutrients on the farm as well as household waste in their worm farms. Kathy Dawson will demonstrate and discuss the use of biochar for soil health and productivity. Our stall will be a collection of Garden Junk Art. How to make garden art from waste products. Jackie Dickson has recently compiled a detailed waste guide for residents Augusta/Margaret River shire and is getting the word out to reduce, recycle and reuse. Come and make some Junk instruments – some which actually sound good! Join us at 3:30 for the BIG JUNK JAM PARADE! Kyllie and friends have been collecting all sorts of materials to make into jellyfish…….loads of fun for all ages. We can show the children how to make glue, and then they can use it to decorate a Christmas card with glitter. We’ll have a salt dough activity for them so they can make a handprint gift or tree ornament. 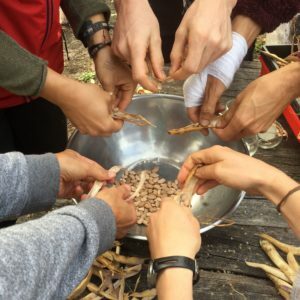 Transition Margaret River supports local sustainability in Food, Water, Waste , Energy and Transport…..join your local network or a Transition town near you. Sustainable farming includes using all of the animal …..find out how James does it and buy some delicious food on the day. A hands on demonstration and talk showing harvesting and processing every part of the chook. Stacey Smithers and her team harvest fruit thats going to waste and turn it into jams with the kids from Jarrahdale Primary School. “Hemp ‘N Healthy will be demonstrating chocolate making, and other healthy stuff too. We make items that reduce the need for plastic in everyday life (in particular, single use plastics). Our range includes personal cutlery sets, fresh produce bags, beeswax food wraps, reusable makeup wipes & much more. Many of our products are made from Rescued Resources – remnants, offcuts & throwouts. Eco Friendly Produce Bags all hand crafted in Margaret River, Western Australia. Made with locally sourced fabrics and dyes.These unique Market Bags are perfect for Fresh Produce, Nuts and Seeds or organizing your Travel Bags. Made with love, with the Environment in mind, these bags are perfect for living a Waste Free, Eco Friendly life…plus they look great! C.W.A. 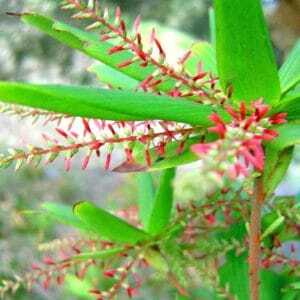 Margaret River are happy to demonstrate some of the home cleaner gems from the classic C.W.A. Cookbook. We will also have a craft activity for the kids so they can make some thoughtful presents for their loved ones. Tim and Gabe from Woodsmiths Margaret River will demonstrate traditional handcrafted woodsmithing. They will also be doing an axe and tool sharpening demo. WAFA’s holistic new campaign, Forests For Life, reinvigorating the timber industry and carrying out ambitious landcare initiatives. Demonstrating and using recycled timbers and pallets. A committed group of locals looking at options for clean energy in the Margaret River Augusta Region. Rod from EV Power Australia will be demonstrating how to fabricate a simple geodesic garden dome from inexpensive & scrap steel. He will also be demonstrating using solar power and lithium batteries to weld in the field. 10.30 Demonstrating how to make a simple greywater diverter. 1pm Building a composting toilet from a wheelie bin as a demonstration to explain all the ins and outs of a composting toilet. Brian and Lindsay will bring along some bikes and tools and teach some of the basics of bike maintenance and repair. Visit Karl’s DIY Campervan/ tiny home on Wheels, Off grid, solar powered and self contained. Dave will discuss how to use waste veggie oil to run a vehicle. Check out the amazing home truck /tiny home that he and his family of 5 live in. January PDC 2017Swap Shuffle Share Five Years On. Stitched Up – our local visible mending group – looking forward to being there…we turn mending into an art work! Can we purchase tickets at the gate?